Rosacea is a chronic and potentially life-disruptive disorder primarily of the facial skin. It typically presents as redness, visible blood vessels and if left untreated, bumps or pimples may develop and in severe cases, the nose may grow swollen and bumpy from excess tissue. While there is no cure for rosacea and the cause is unknown, medical therapy can control or reverse its signs and symptoms. Some topical treatments and oral treatments can be use to help control the bumps, pimples and some redness caused by rosacea. A very effective treatment for rosacea is laser treatment. Vbeam and IPL/Photofacial can help with the redness and visible blood vessels while Smoothbeam can help with the acne and oil gland portions of rosacea. 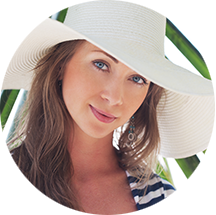 Dermatology and Laser of Del Mar has Vbeam, IPL and Smoothbeam lasers to treat rosacea. To help reduce the recurrence of rosacea, sun precautions and physical barrier sunscreens with UVA/UVB protection, SPF 30-50 and zinc oxide/titanium dioxide, as active ingredients to protect your skin, are essential. SkinMedica daily defense sunscreen, Neova sunscreen as well as Colorscience powder sunscreen are effects broad spectrum sunscreens. These effective sunscreens can be purchased at Dermatology and Laser of Del Mar. 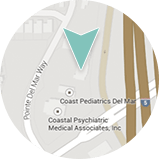 Contact us to schedule your appointment today for a consultation with Deborah H. Atkin, M.D..